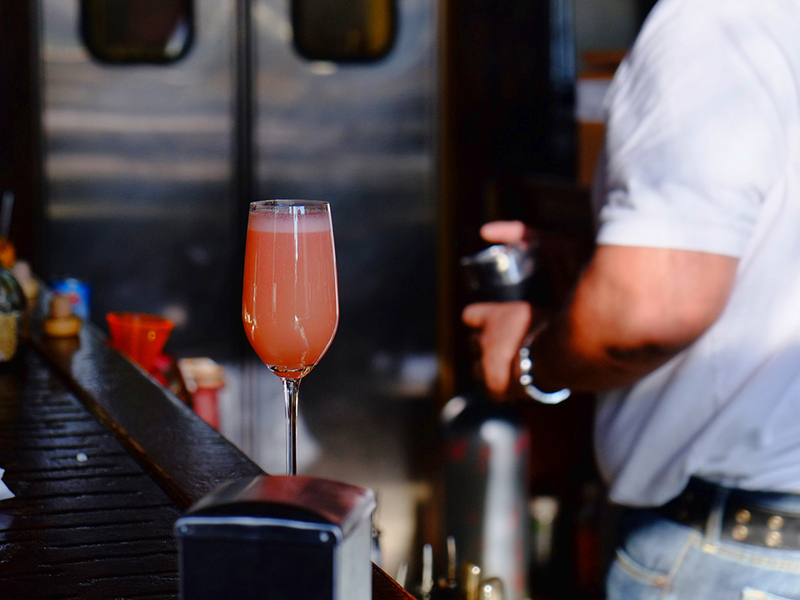 To get an early start on Cinco de Mayo, we recommend this bubbly and delicious cocktail from Victor Ponce, the head bartender of Zapata Tacos & Tequila Bar (Norcross, Georgia) and a certified Tequiler by Academia Mexicana del Tequila, A.C.
Gently pour 1 oz of Jarritos Grapefruit soda* in the champagne flute. Add .25 oz of grenadine (or slightly less). Combine in a shaker 2 oz of Rudo Reposado tequila, 1 oz Arrogante Damiana liqueur, a splash of coffee liqueur, 1.5 oz of pineapple juice and .25 oz of simple syrup (can be replaced by several drops of agave nectar). Shake with ice and strain into the flute. Jarritos adds bubbles, grenadine gives the cocktail a pretty pink color. 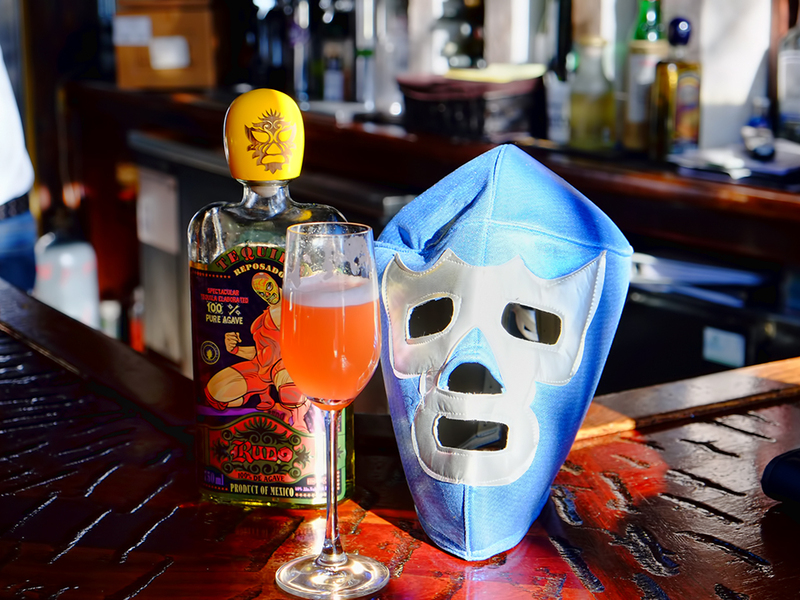 Rudo Reposado was selected because its taste and flavor are very dominant and will not be masked by other ingredients. The resulting cocktail is insanely delicious. Perfect for Sunday brunch and any time when you feel like indulging yourself. Despite of almost 3 oz of potent liquor, the cocktail is smooth and you just want to keep sipping. The rich flavor profile is really outstanding. *Other grapefruit sodas could be used instead of Jarritos (Q Grapefruit is our suggestion), but Jarritos is the best and can be found in any Latino grocery or farmers markets with Hispanic sections.